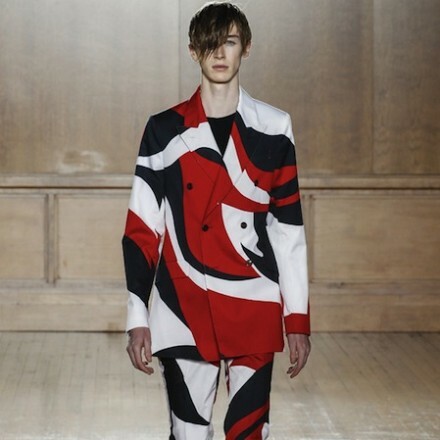 Japanese designer, Takuya Morikawa, had his first US fashion presentation tonight at NY Men’s Day. 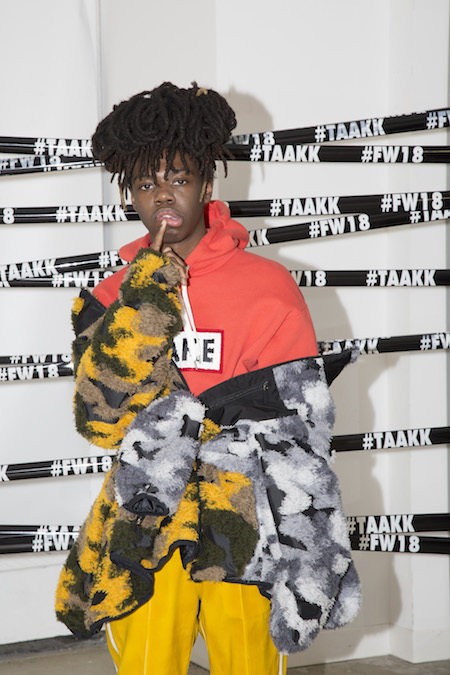 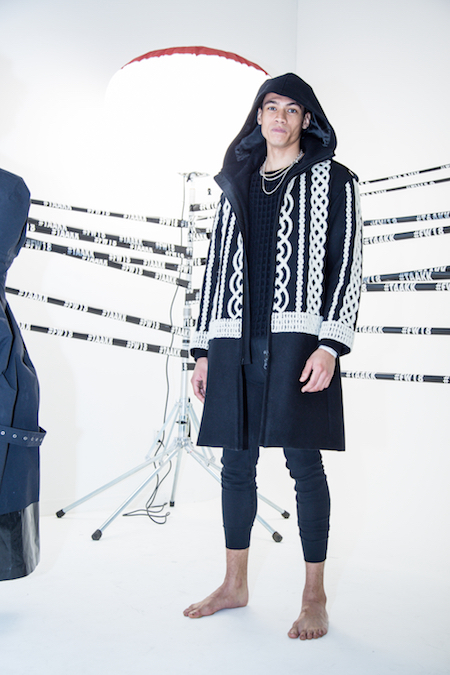 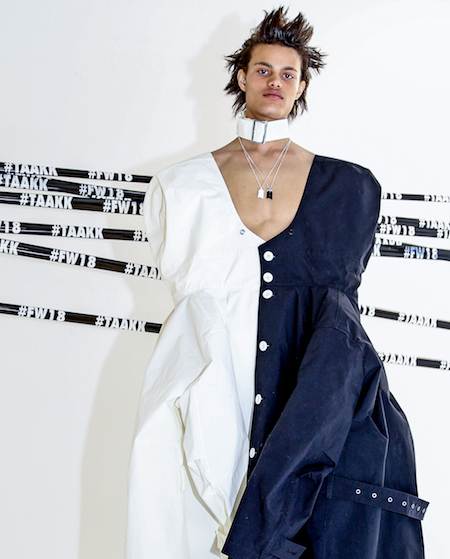 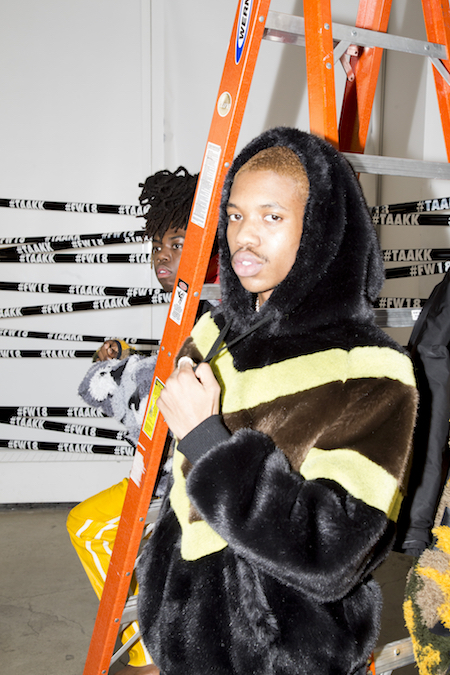 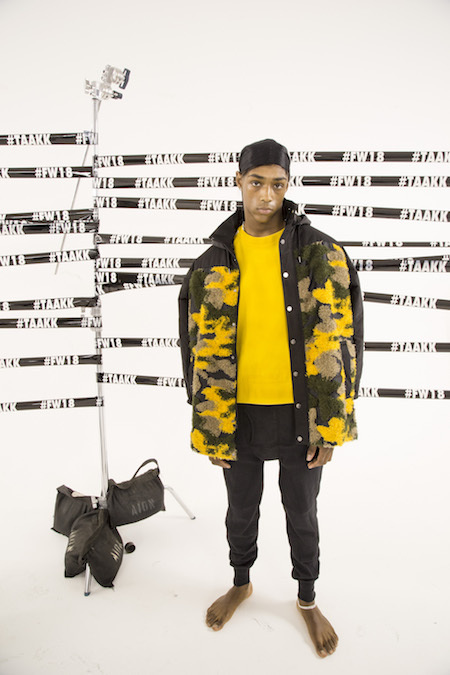 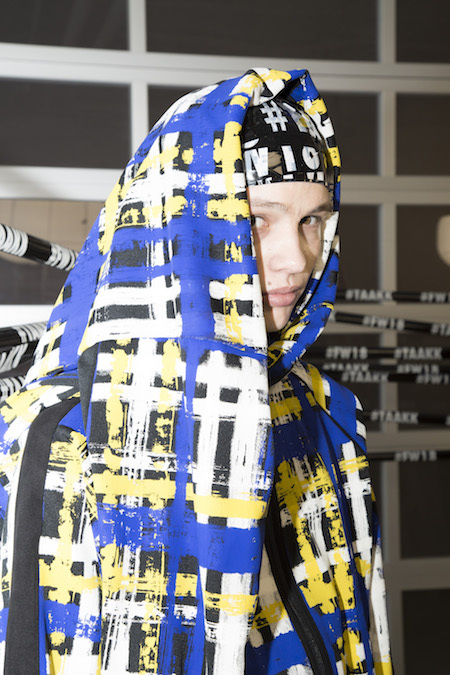 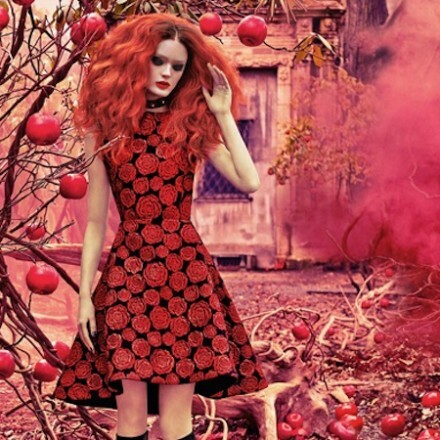 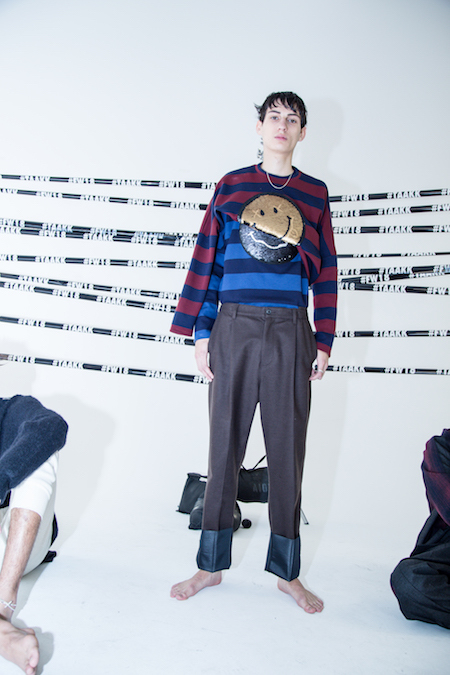 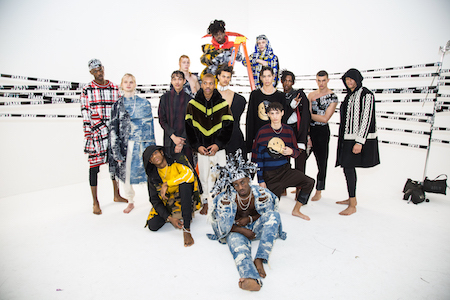 For his brand, TAAKK, he presented a fifteen look collection entitled “Common Oddity”. 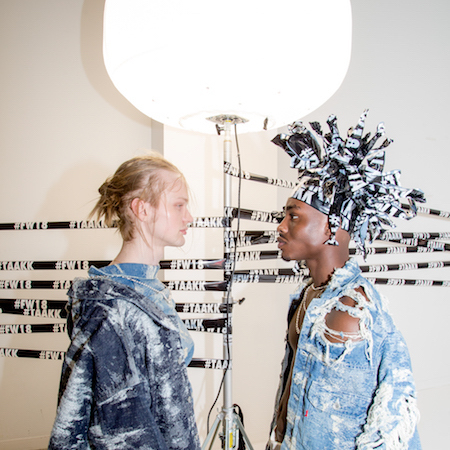 Accessories were provided by www.willshott.com. 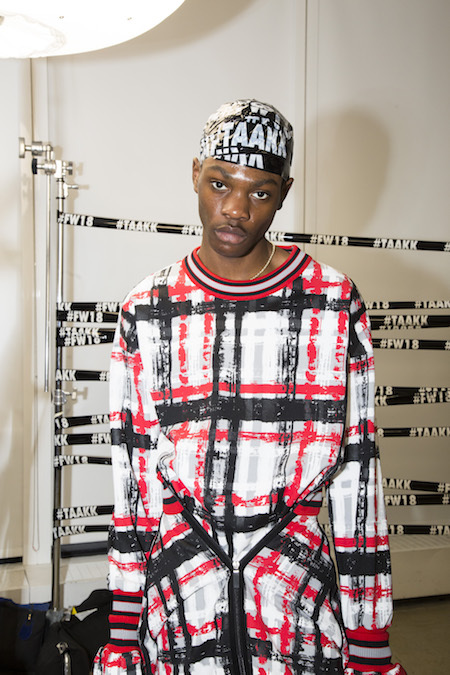 Photographer Boo George attemps to capture the striking Irish seaside of Dollymount Strand harmonizing with the subtle colours and textures of the new Emporio Armani collection. 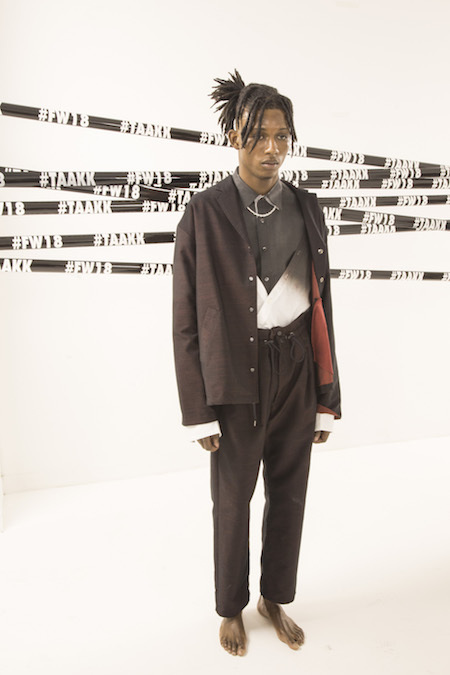 Tailoring is slashed on the revere or under the pockets, reworked as panels to reveal vivid red lining on long and lean coats and suit jackets. 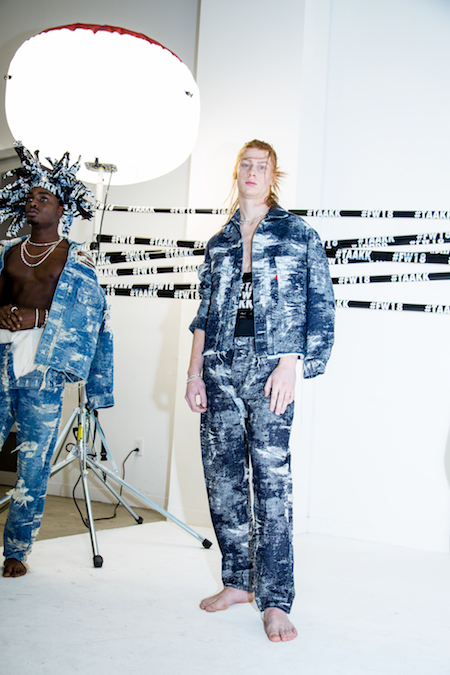 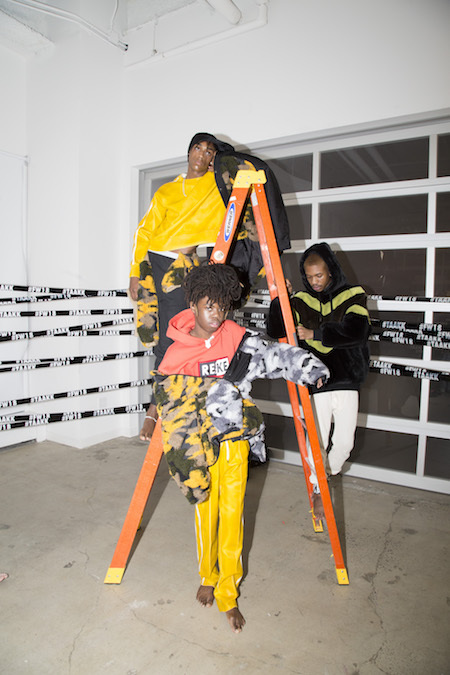 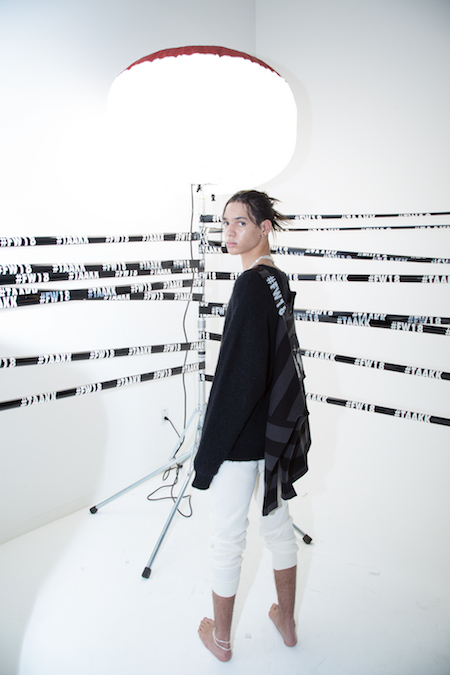 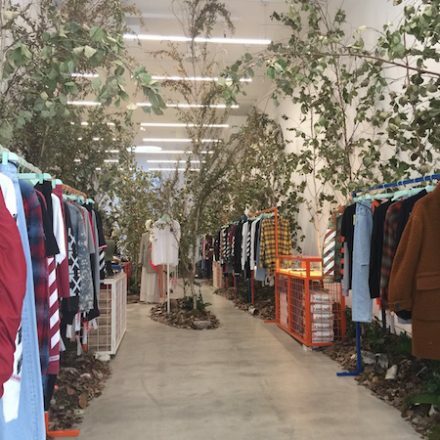 Virgil Abloh opened his first Off-White store in the U.S., gaving it a new name, Em Pty Gallery.